Treasury Secretary Timothy Geithner doesn’t expect to remain past his first term. Bloomberg reports that Geithner believes that President Obama will be re-elected, but he doesn’t believe he’ll ask him to remain a member of his economic team. Geithner, 50, has led the effort to pull the U.S. out of the current recession which included overseeing the efforts to bailout American automakers. As the site reports, Geithner told White House officials last year that he was considering leaving after negotiations on raising the nation’s debt limit were completed. 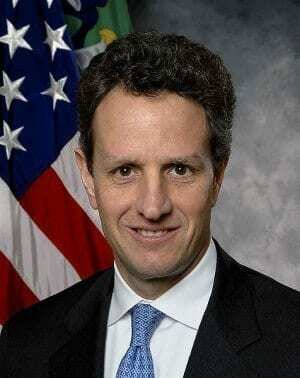 Read more about Timothy Geithner here. Previous ArticleNancy Pelosi challenged by John DennisNext ArticleLeprosy groups prompt Aardman to alter "Pirates: Band of Misfits"
I just want to tell you that I’m beginner to blogging and site-building and actually enjoyed this web site. Likely I’m likely to bookmark your site . You amazingly have great writings. Thanks a lot for revealing your webpage.